Here’s more of an overview of a new game/book called The Infinite Board Game. 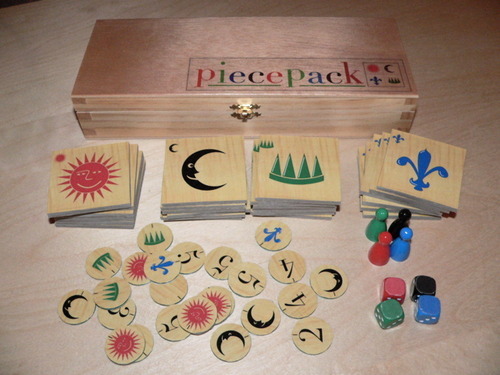 It’s a re-release of the Piecepack system, which is a specific set of components that can be used to play…well…an infinite amount of board games. I created a game with a friend of mine, Don Kirkby and we submitted it for inclusion in the book – and it was chosen! Our game is called Cream of the Crop and the rules for it can be found under the FREE GAMES tab here on this site! In the meantime – here’s Tom Vasel’s overview of the whole thing. While it’s not his cup of tea, he does think that it will tickle many people’s fancy!